When SS Captain Bruno Lohse died on March 21, 2007, he left behind him a small treasure of French Impressionist, Old Masters and German Expressionist works. Actually, no one focused on the German Expressionists which lined the walls of his plush Munich apartment. Everyone was agog about the paintings found in his bank safe, especially when German Expressionist artists were damned as purveyors of "bolshevist, Jewish, freemasonic, dark, psychotic" works by Lohse's Nazi peers. The pundits of the day described Lohse as a Nazi art historian and an agent for Hermann Goering. Both titles are correct, except for the fact that they left out the most important piece of the equation which any self-respecting historian of the Holocaust and of culture in the Third Reich should have realized: Lohse was the deputy commander of the Einsatzstab Reichsleiter Rosenberg (ERR) in German-occupied Paris. His boss was SS Colonel von Behr. Both men share in the responsibility of orchestrating between September 1940 and July 1944 the plunder of Jews in German-occupied France, the deaths of innumerable individuals, and the sacking of tens of thousands of residences under the eponymous appellation of Möbel-Aktion (M-Aktion). 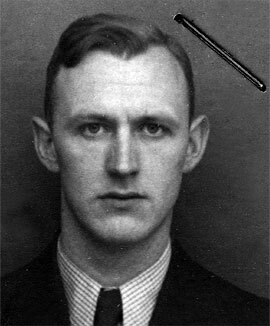 The official story of Bruno Lohse has bounced around the Internet uncritically like a blubber ball and without an ounce of desire by the authors of those stories to unravel what lay under the man who, as a tall and handsome Nazi art historian, carved his way through trendy occupied Paris, was able to maintain several ‘garçonnières’—bachelor pads—which also served as his personal depots for art that he personally pilfered from Jewish collections and which found their way decades later into his Swiss safe. It’s not every day that we come across a Nazi war criminal who turns out to be an art dealer and an art collector wooed and consulted in his postwar resurrection by senior curators from many Western museums which shall not be named here for fear of embarrassing them and giving them tomato red cheeks. Suffice it to say that there is blame here to be ascribed and to be spread around mercilessly amongst those who posture as specialists and experts, but cannot find the time to get their facts straight. The responsibility for conveying accurate and truthful history is denigrated when an obsession with a dead Nazi’s possessions trumps the horrors that he perpetrated as a young art expert in his 30s.